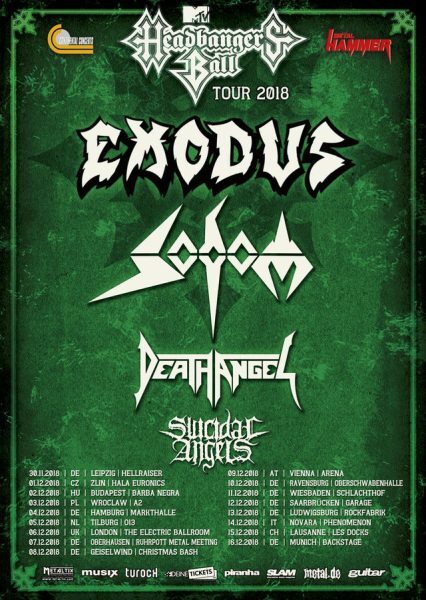 EXODUS to headline ‘MTV Headbangers Ball Tour 2018’! 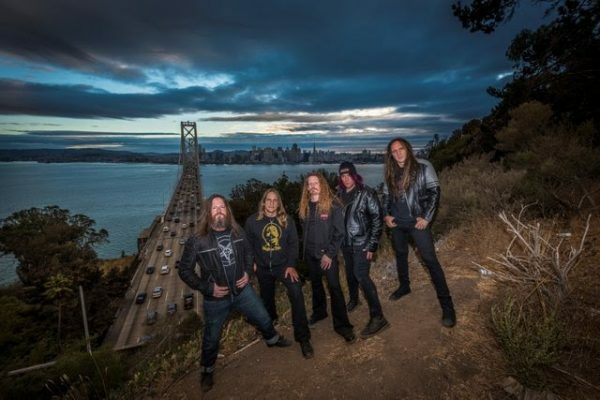 While Bay Area legends EXODUS are just finishing up their summer run across mainland Europe, the band is pleased to announce that they will return to the continent in November and December to headline the 2018 edition of the renowned ‘MTV Headbangers Ball Tour’, which will lead them through 17 cities and venues in 9 different countries – including a stop at London’s Electric Ballroom! 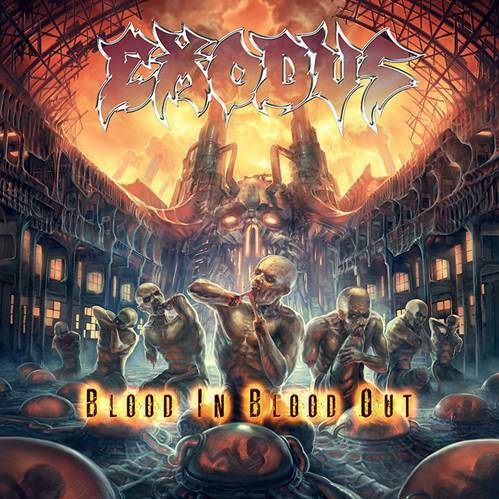 The outstanding line-up will be completed by newly re-structured Ruhr Area thrash heroes SODOM, US metal act DEATH ANGEL plus Greek underground champions SUICIDAL ANGELS. 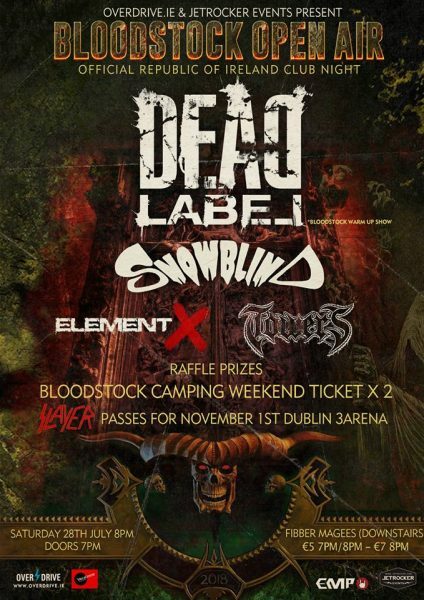 This ultimate thrash package is not to be missed, better secure your tickets NOW! Info & Tickets can be found here.